As temperatures drop, the environment gets more and more hostile for motorcyclists. Even a 25mph windchill can feel like a temperature drop of over 10 degrees. Highway wind speeds will sap heat away from your body even quicker. At these temps, even high-quality waterproof or windproof gear with a substantial mid layer is no match for the laws of thermodynamics. That's where the Hotwired Jacket Liner EVO comes in to add heat back into your torso and arms to compensate for any heat loss from the environment. 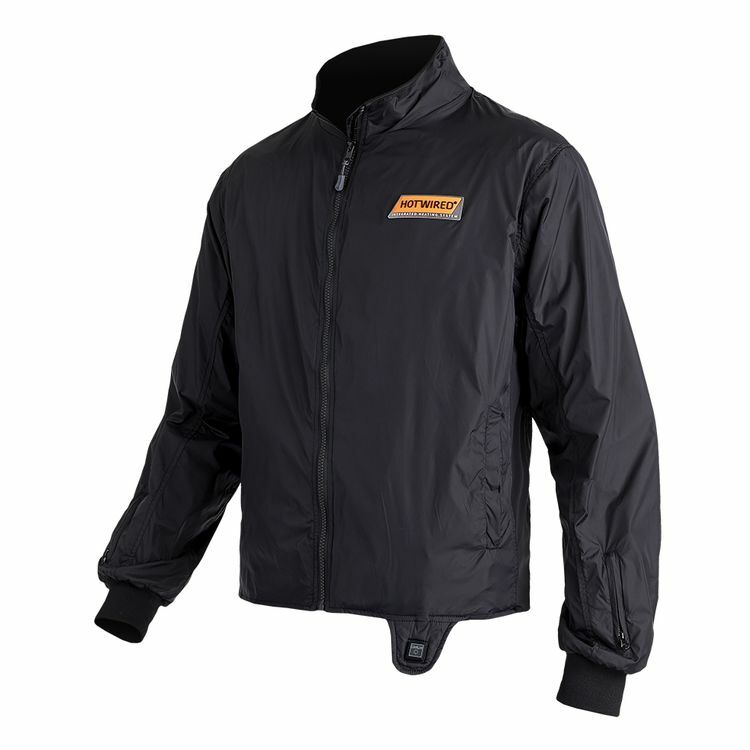 The lightweight nylon outer shell slides underneath motorcycle jackets easily without adding bulk. Carbon fiber heating elements provide nearly instantaneous heat when turned on, and six zones of heating elements make sure that all key areas are warm and toasty. A soft touch temperature controller is positioned directly on the garment and is designed to slide out from underneath the hem to easily cycle through the 3 temperature settings. 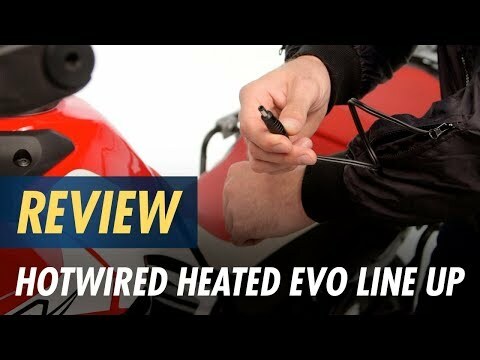 Extend your riding season well into the winter with the Hotwired Heated Jacket Liner EVO.